Betsson – World Cup Daily Offers | Week 3! Strike a daily reward throughout the 2018 FIFA World Cup! 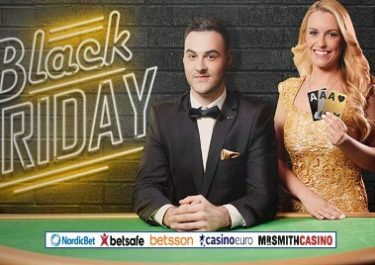 The two weeks of this special Betsson campaign have seen players from Finland, Norway and Sweden being treated to some awesome extra rewards, and that every day of the World Cup in Russia. Reason enough to look forward to the third week as the action in the stadiums is reaching boiling point in the knock-out stage matches. Simply log-in every day until the end of the tournament and complete a mission on the slots to enjoy an instant surprise reward. Exclusive for players from Finland, Norway and Sweden. Add some extra excitement to your 2018 FIFA World Cup days with some awesome wager reward and surprises at Betsson. Log-in daily to complete a mission on selected slots to instantly receive your reward with Free Spins, Bonus Money or even pure cash. Rinse and repeat every day until the end of the World Cup in Russia to enjoy some superb balance boosters. OPT-IN on the promotion page for each offer is imperative to qualify for the daily rewards. Cash rewards have no wagering requirements. Free Spins need to be used within three days and winnings wagered 25x within three days. Bonus Money rewards and prizes need to be wagered 10x within five days. 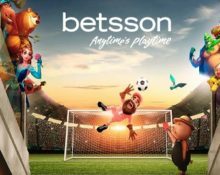 Betsson bonus terms and conditions apply. Active players can log into their account to find 5 Free Spins on Gonzo’s Quest, no deposited needed. The TOP10 scoring the highest wins from the spins will be rewarded with bonus prizes: 1st – c1,000 | 2nd – €500 | 3rd to 5th – €250 | 6th to 10th – €50, credited by 15:00 CET on Wednesday with a 10x wagering requirement within five days. Deposit minimum €20 in a single amount to receive 1 minute of Free Spins on Sumo Spins, credited by 18:00 CET on Thursday. The minute will start after loading the game and spinning the first time. Play on Grim Muerto at any bet size and hit the Free Spins bonus round once to receive a surprise amount of Free Spins on Energoonz, credited by 15:00 CET on Friday. Amount and value of the awarded Free Spins is based on the bet size and activity of the player in the casino. Deposit minimum €20 in a single amount to instantly receive 10 | 10 Free Spins on Jazz Of New Orleans | Gretel and the Hunt for Gold. Wager minimum €50 on Mystery Joker to instantly receive a surprise amount of Free Spins on the same game. Eligible players will be notified via Betsson Inbox. Amount and value of the awarded Free Spins is based on the overall activity of the player in the casino. Spin with cash bets at any stake size on Dwarfs Gone Wild from Quickspin and score 1 | 8 points for every scatter symbol |every Free Spins bonus round to race into the TOP100 on the leader board by midnight on Sunday. Prizes range from €25 – €250 in cash, credited by 18:00 CET on Monday. Winners will be notified via Betsson inbox. Check back tomorrow when we reveal the next World Cup reward.